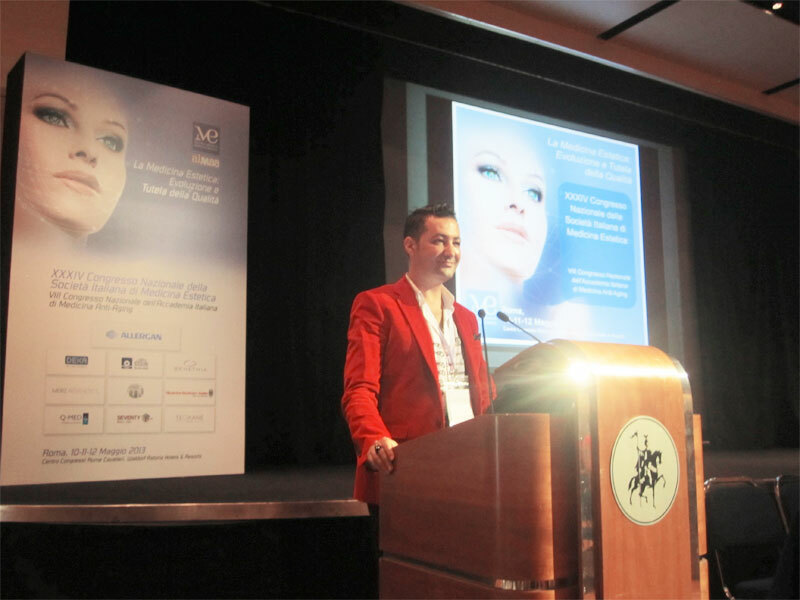 The XXXIV National Congress of the Italian Society of Aesthetic Medicine and VIII National Congress of the Italian Academy of Anti-Aging Medicine just ended and it is now time to take stock of our accomplishments. 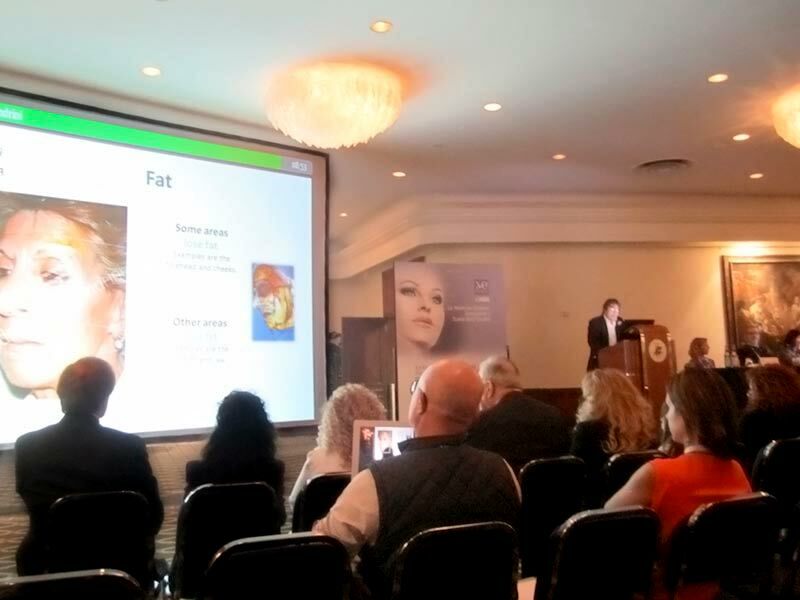 As a matter of fact there are many people curios about the results of one of the most famous and appreciated events in Italy. 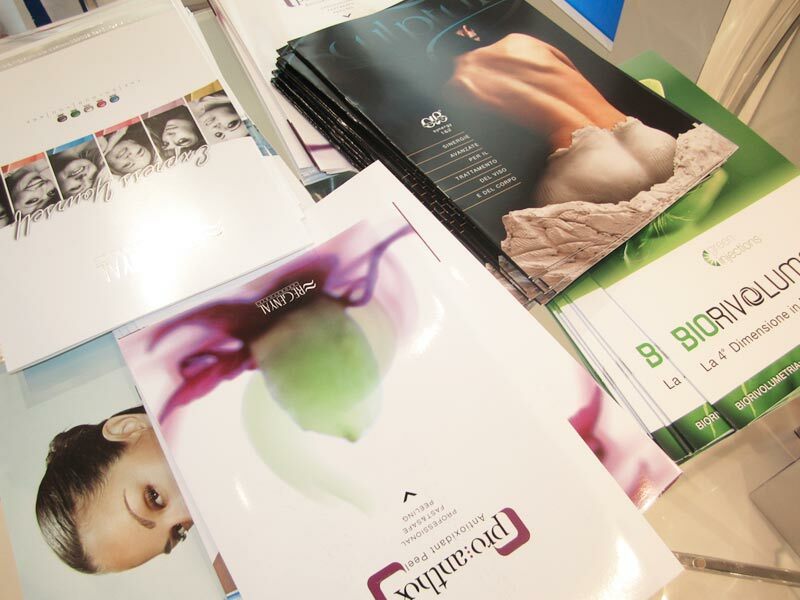 The numerous visitors who came to the exhibition area of the Rome Cavalieri Congress Center are undoubtedly the proof that there are still high expectations and will to stay up to date with the latest news and researches in the field of Aesthetic Medicine. 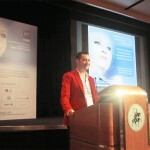 This is true, for instance, in the case of the Turkish doctor A. Mamak who – during the session on “Filler in Aesthetic Medicine – I”, received lots of compliments for his scientific report regarding “BIO-REVOLUMETRY Techniques” enriched with a series of cases of his patients. 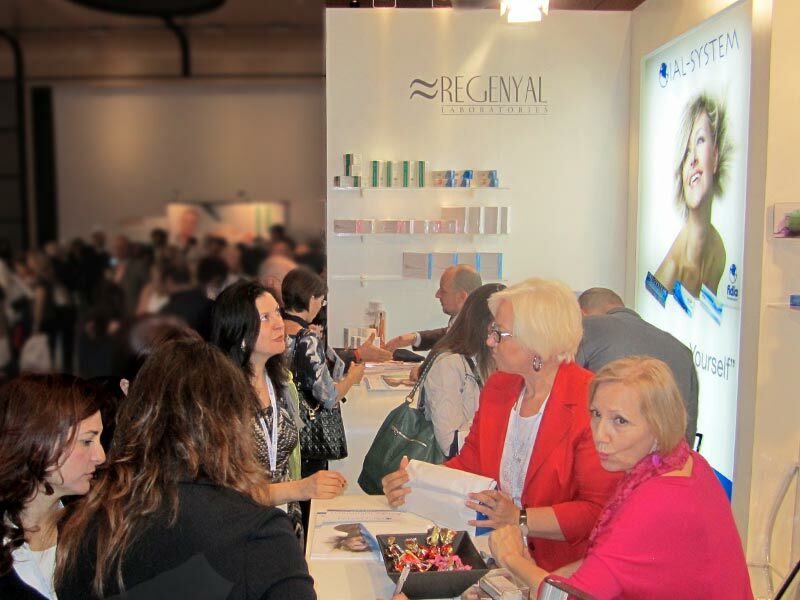 The participants were very curious about this new method, that uses the bio-revolumetry products Regenyal Idea Bio-Expander and Ial-System DUO to successfully rejuvenate the face and restore lost volumes. 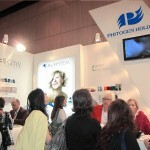 Same interest in BIO-REVOLUMETRY could be seen at the joint booth of Regenyal Laboratories and Phitogen Holding. 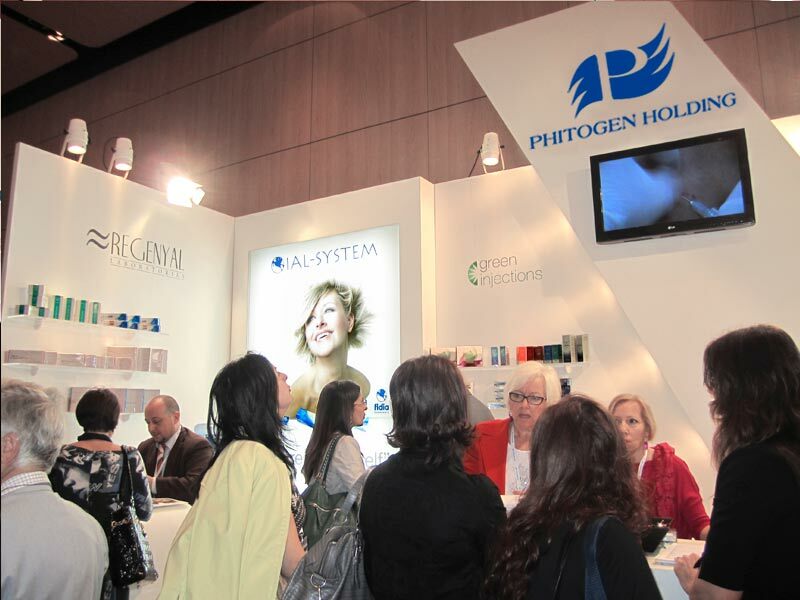 The representatives of the two companies ably captured the attention of hundreds of physicians and other specialists of the field, who were stunned by the constantly proposed initiatives, among which courses, promotions, services. 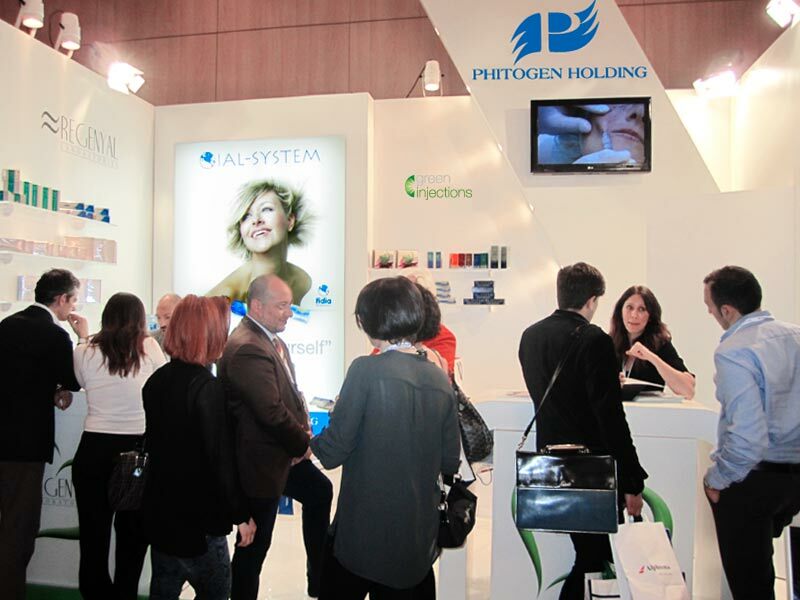 Above all the visitors appreciated the scientific nature implemented in the manufacturing of the products marked with the precious and world-famous label “made in Italy”. 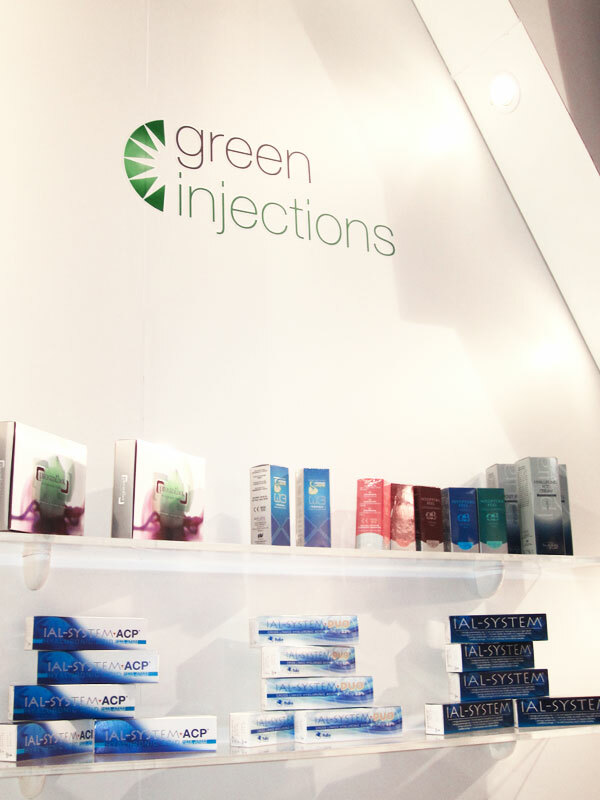 The attention and the rigor, applied to the manufacturing process have guaranteed that Green Injections qualification – the warranty of safety and naturalness – be awarded to the Regenyal Idea and IAL-System injection products. 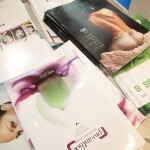 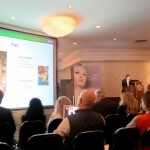 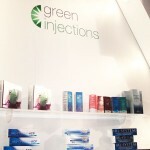 As Dr. A. Alessandrini has put it in the course of his scientific report on “BIO-REVOLUMETRY and facial aging”: in the case of Green Injection and especially bio-revolumetry products, we are facing revolutionary products able to contemporarily stimulate the hypoderm, perform a filling action and hydrate efficiently.